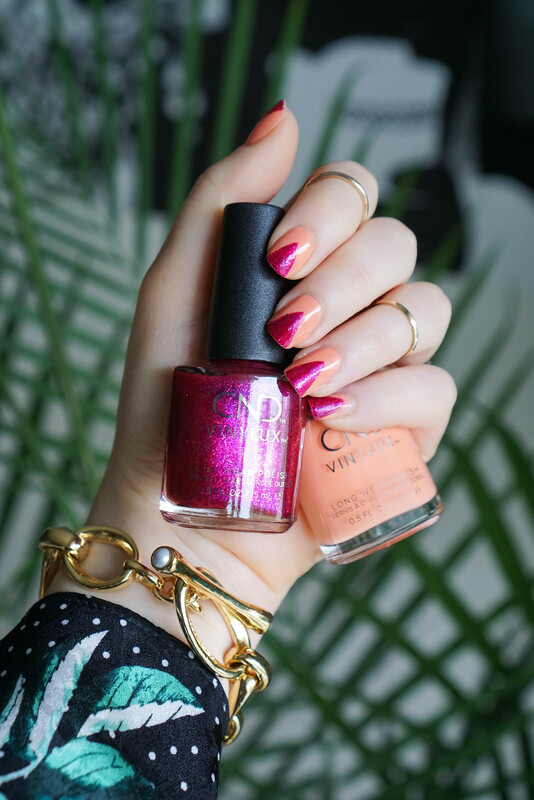 Full Disclosure…I love the look and durability of a gel manicure, but I hate the process of taking gel polish off AND I like being able to change my polish and nail art every week so I rarely get them. 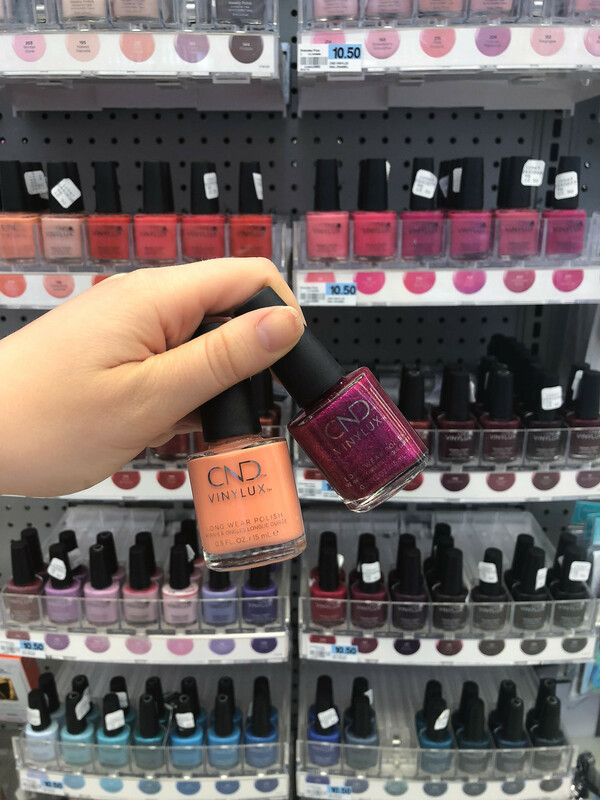 So when CND™ VINYLUX™ asked me to try out their long wear polishes I jumped at the chance…flawless gel finish and easy removal…sign me up! The system consists of an all-in-one base and color polish (no separate base coat needed) and a top coat. 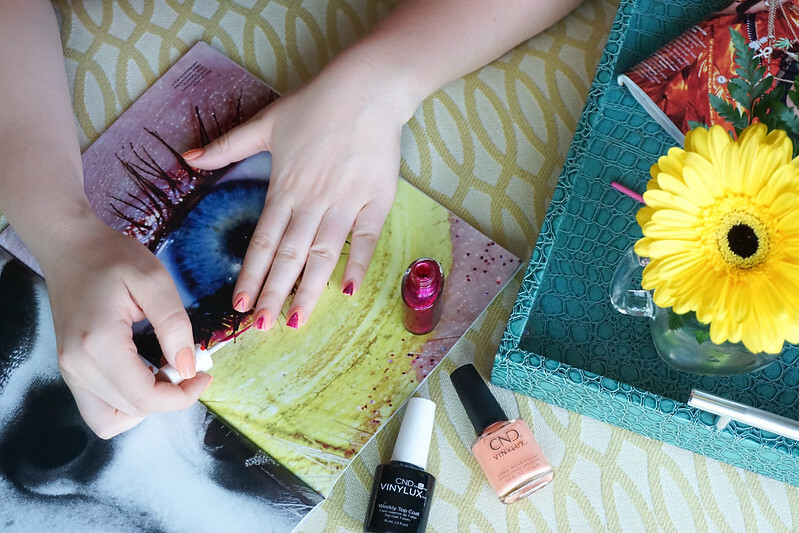 And this tropical long wear manicure only took about 20 minutes following these 3 easy steps! 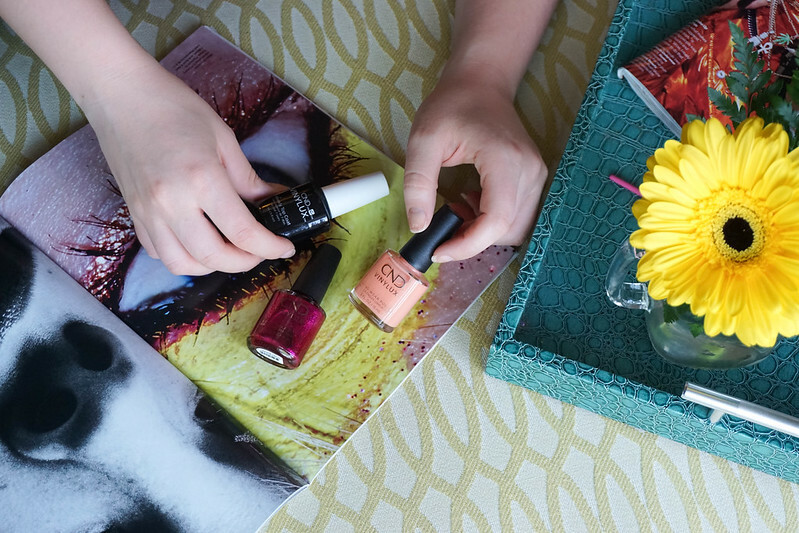 Step 1: Apply two thin coats of the all-in-one base and color CND™ VINYLUX™ Long Wear Polish in Shells in the Sand and let dry. 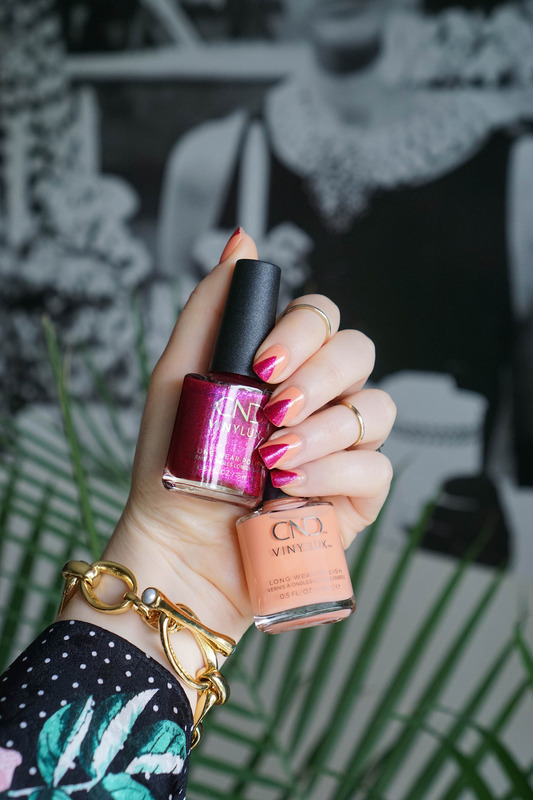 Step 2: Take a striping brush and carefully draw a triangle from the tip to the middle of your nail with CND™ VINYLUX™ in Butterfly Queen. 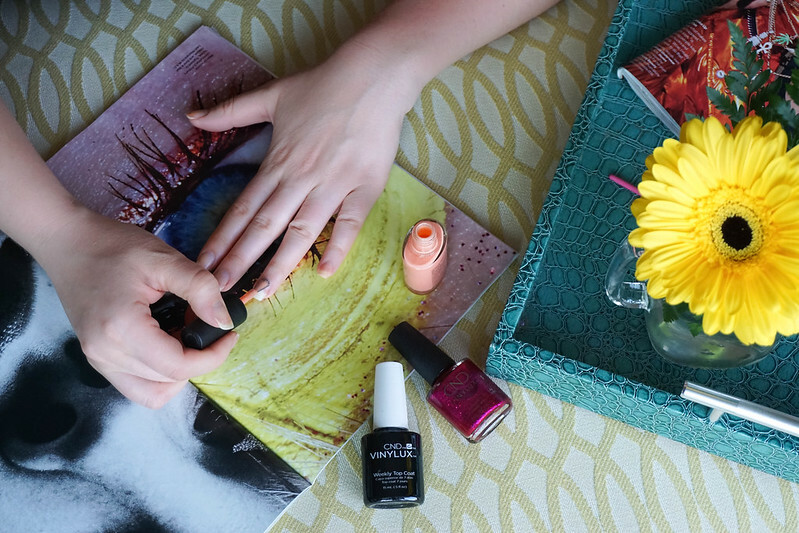 Step 3: Finish with one coat of CND™ VINYLUX™ Long Wear Top Coat for a gel-like finish. (Allow 8.5 minutes for fully dry nails). One of my biggest pet peeves when it comes to nail polish is when it’s thick and doesn’t apply smoothly, but I’m happy to report that these are thin and smooth and apply so nice! The polish brush also hugs your nail perfectly allowing for flawless coverage. 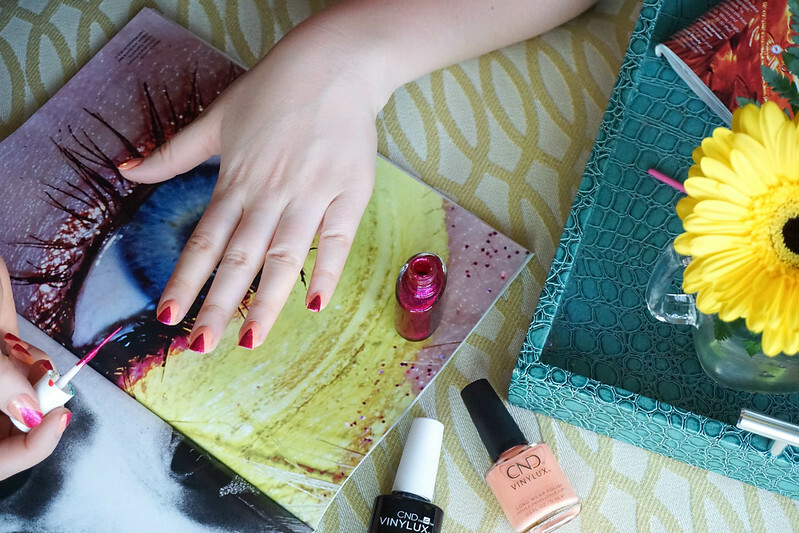 I also long that these long-wear polish is infused with Vitamin E, Keratin and Jojoba Oil! 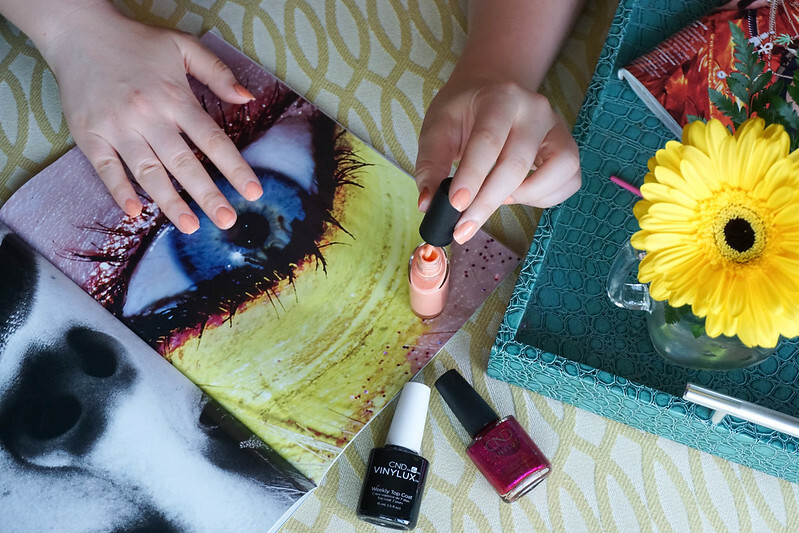 Scroll down for the step-by-step photos for this tropical long wear manicure and be on the look out for CND™ VINYLUX™ Long Wear Polishes NEW to Rite Aid stores! 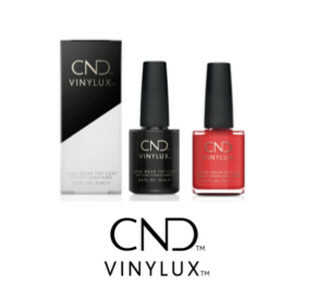 Be on the look out for CND™ VINYLUX™ Long Wear Polishes NEW to Rite Aid stores. 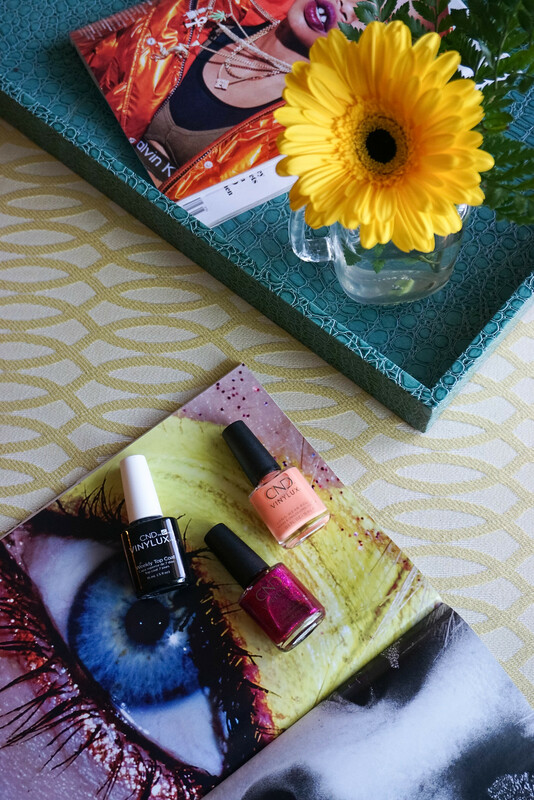 These polishes can be found in the Nail Bar or Wall Display with a brand new look!